2018 Chamber chair Matt Windom passes the gavel to 2019 chairman Bill Stone. 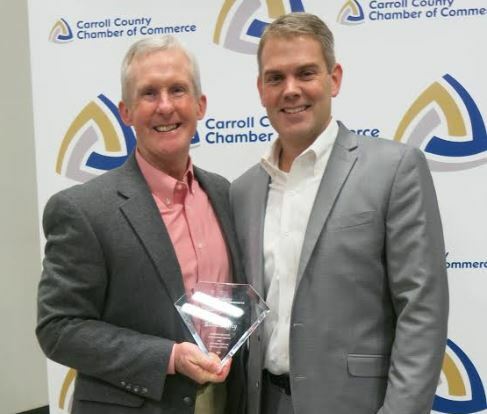 The Carroll Chamber of Commerce celebrated sixty-four years Friday evening at its Annual Meeting held at City Station. The highlight of the evening was the presentation of special awards for dedicated service to the Chamber and the community. Chamber president Daniel Jackson and outgoing chairman Matt Windom gave updates of a successful 2018 focused on collaboration and highly attended programs provided to the membership. “Thank you to the executive committee and board of directors for your continued dedicated service and to the Chamber staff who make this job easy,” shared Windom. Attendees heard a motivational presentation by David Horsager, CEO of Trust Edge Leadership Institute and author of the book ‘TrustEdge’ on the pillars of trust required in any organization. The highlight came with Windom’s presentation of annual awards, including Amy Brown receiving the Horizon Award for outstanding volunteerism. 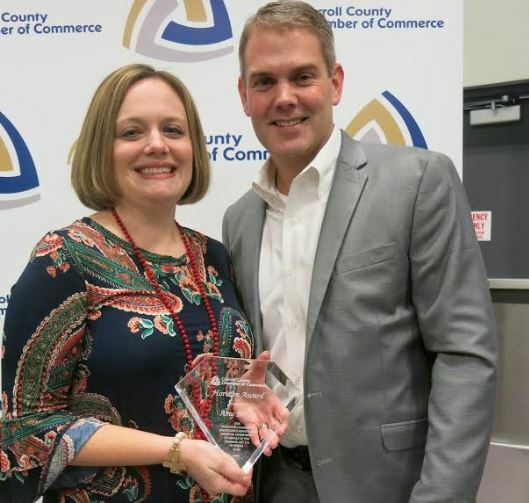 Amy, a State Farm agent and the 2016 chair of the Chamber continues to demonstrate a strong dedication to the Chamber through volunteer work as co-chair of the Business Development Committee and in Villa Rica, where she leads the monthly Rise-n-Shine meetings for local business networking. The Thomas S. Upchurch Workforce Education Award was presented to G.W. 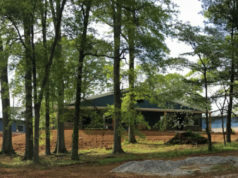 Rogers for his many years of service to West Georgia Technical College and the Carroll-Carrollton Education Collaborative. Now retired, he continues work with youth in his church in Bowdon and throughout the county, including as a drivers education instructor. 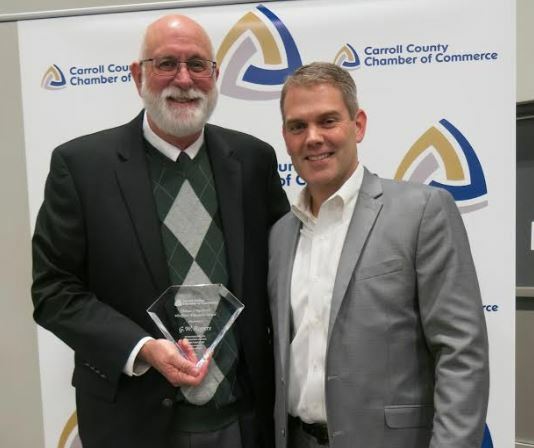 The Entrepreneur of the Year Award was presented to Johnny Tanner of C.M. Tanner Grocery. Tanner Grocery recently celebrated 125 years of business and is one of the oldest businesses in Carroll County. 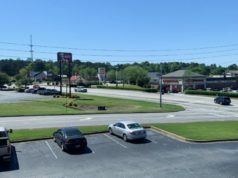 The four generation family-owned wholesale grocer continues to thrive providing excellent service and product throughout the Southeast. Finally, Eddie Duffey was honored as Citizen of the Year. Duffey was recognized for his many years in the fitness industry, serving as Assistant Athletic Director of the University of West Georgia and most recently, as the director of City Station Fitness. 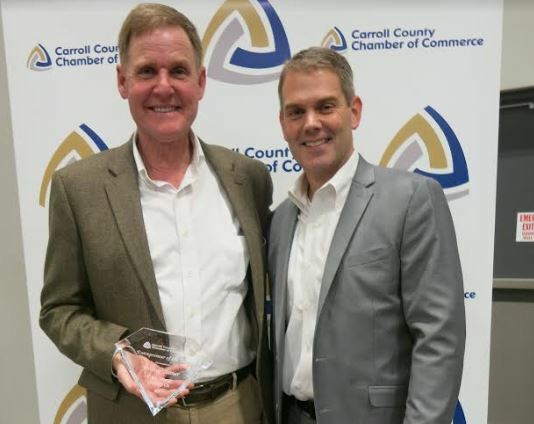 Duffey is well respected for his commitment to the community, daily representing the center’s motto, ‘Love, Serve, Care’ in all that he does for Carroll County. The evening ended with Windom passing the gavel to the Chamber’s 2019 chairman Bill Stone, CFO of Systems & Methods, Inc. Stone shared his vision for the new year, including the Chamber leading with ‘a passion for giving’.